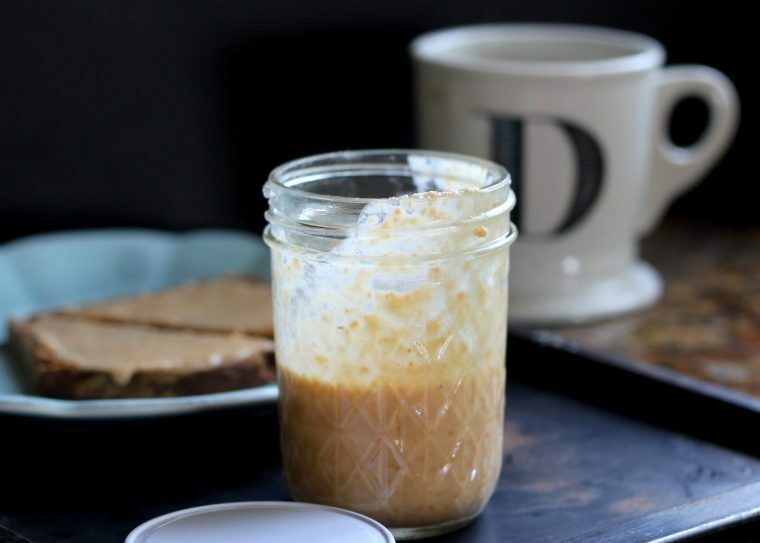 This Toasted Coconut Butter is a one-ingredient treat that only takes minutes to make! 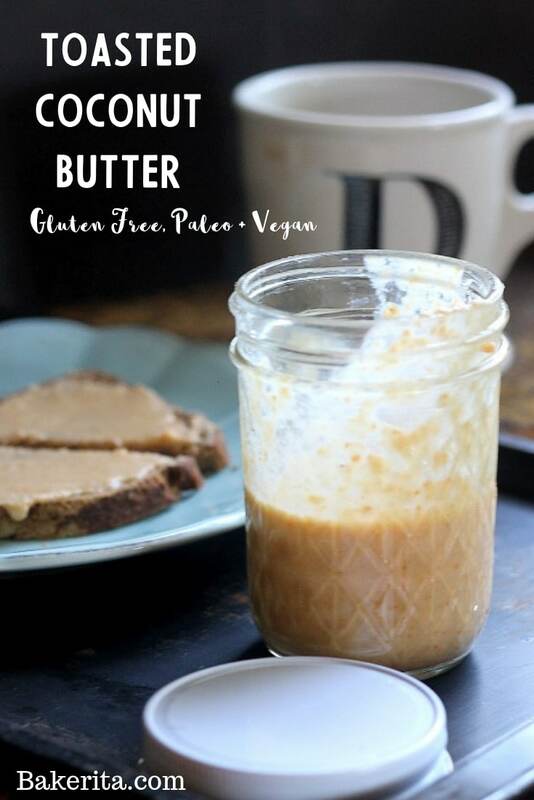 It’s a smooth and creamy spread that’s full of flavor and naturally paleo, vegan and gluten-free. Perfect gift for coconut lovers! I really feel like I shouldn’t be posting this, because it such a non-recipe. Actually though – it’s pretty much 1 ingredient, maybe 2 or 3 depending if you want to add salt and/or some kind of sweetener. I personally didn’t add sweetener, cause I looooove the way toasted coconut tastes on it’s own, but I did add a little bit of flaked sea salt. Added the perfect salty twist. While coconut butter made with raw coconut is super awesome, I have an obsession with toasted coconut, and I needed toasted coconut butter to happen in my life. It worked amazingly, and turned into a spread that I love on toast, sliced banana bread, added to smoothies, or with fruit. Because it’s not a real recipe, but rather a technique, you can customize it to make as much (or as little) as you want. 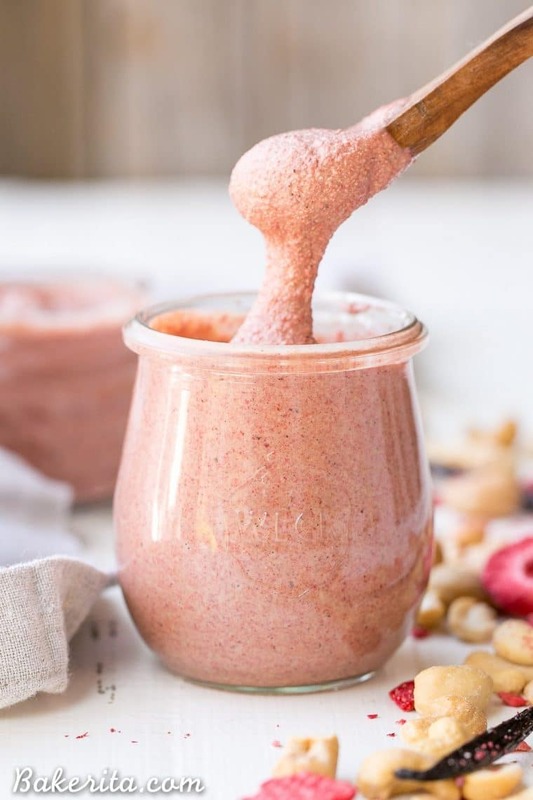 I wish I had made more, because this stuff goes fast, so I would recommend starting with at least 2 cups of unsweetened flaked coconut, but feel free to use as much as your Vitamix/food processor can handle. It’s also possible to use part toasted coconut and part untoasted coconut, if you want the toasty flavor to be a little more subtle. The most important ingredient in this coconut butter is obviously, the coconut flakes you start with. They must be unsweetened, or it won’t work, and I’ve only had success with the flakes of coconut (I used this brand but Bob’s Red Mill also makes them) so I can’t guarantee how a more shredded texture would go. If you’re a nut butter fan, or a coconut fan, or both, you’ll probably love this new and different sort of spread. I definitely do :) Enjoy! Preheat the oven to 350 degrees F. Toast the coconut in the preheated oven for 5-7 minutes, or until lightly golden brown. Let cool for about 10 minutes. 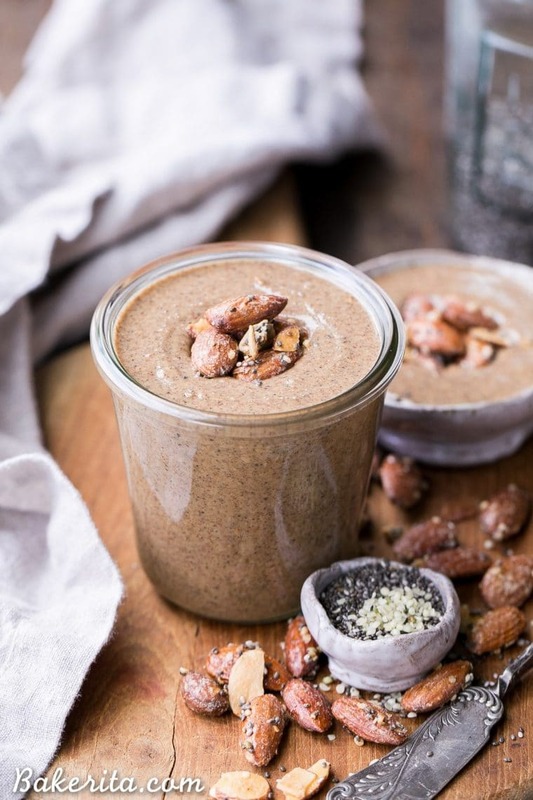 Add the coconut into a food processor or high-powered blender (like a Vitamix). Turn it up to high speed and let the mixture process for 5-7 minutes, scraping down as necessary, until it turns into a thin, liquidy texture. Salt to taste, and transfer into a small jar. Coconut butter will harden as it cools down. Enjoy this recipe? Check out some of my similar favorites below! 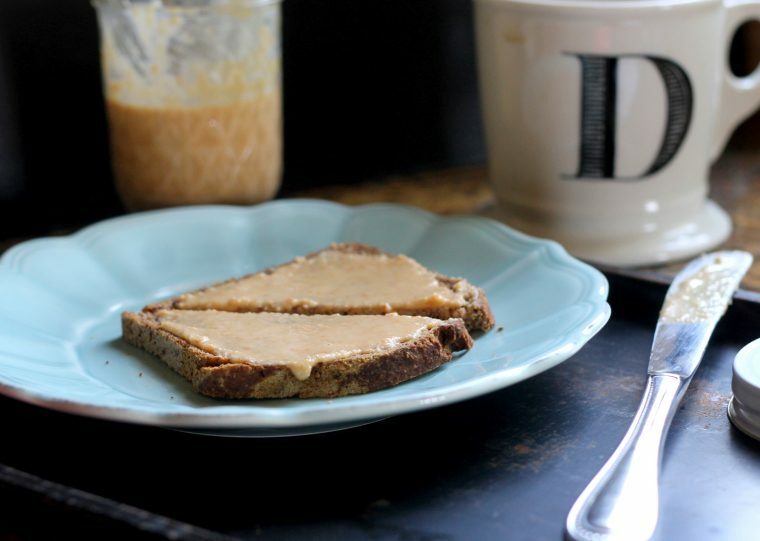 oooooh I never would have thought of coconut butter-but of course…it is sort of a nut! Lol I totally agree that toasted coconut is the way to goooo-delish!!! Another wonderful way to get that coconut into my Hubby! Yum! He is going to love it! I love making coconut butter! Last time I threw it in the fridge and it hardened into lovely rich and roasty toffee-type stuff. Addictive that way too. 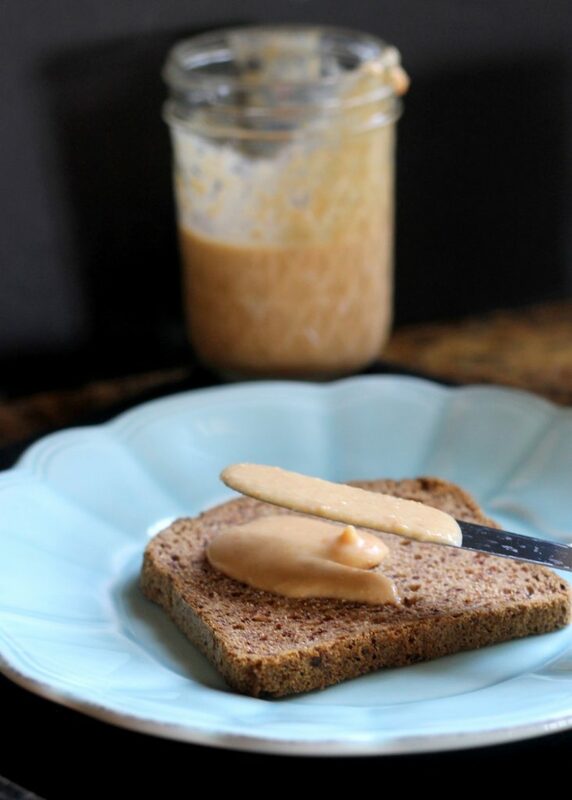 I am kind of ashamed that I make homemade peanut butter all the time but have never even tried coconut butter, let alone the homemade version. Gotta get on this, stat! 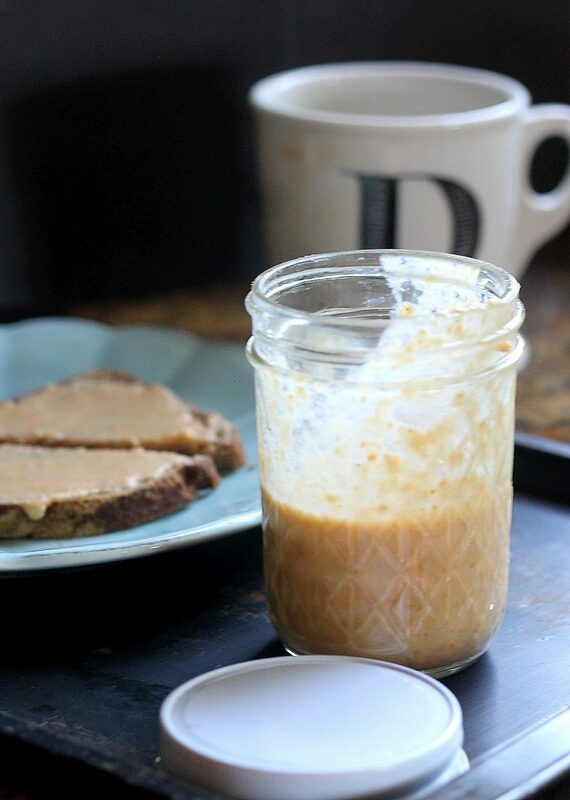 Coconut butter can be so expensive – that’s why I love making my own! That looks absolutely INCREDIBLE! I love the step-by-step photos! Thanks for posting this recipe! I recently discovered how easy it is to toast your own coconut and now I’m hooked! 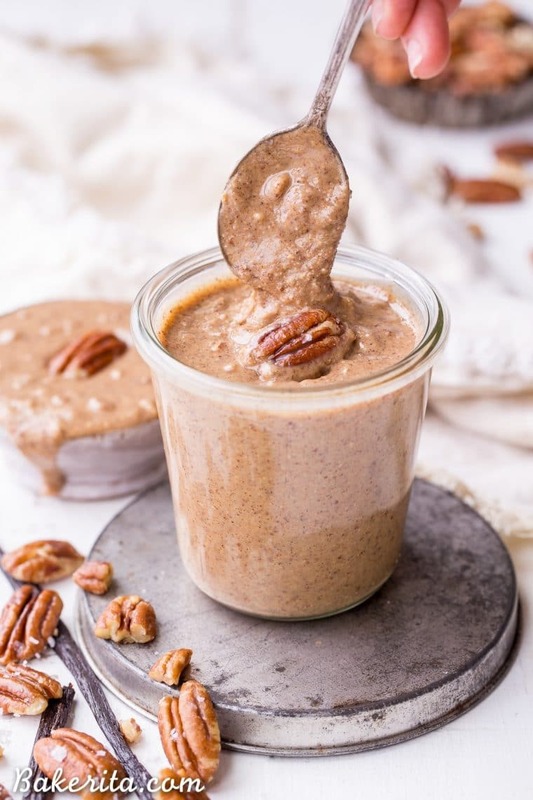 This toasted coconut butter sounds amazing, I can’t wait to try it! This is incredible! I can’t believe I’ve never thought of this before, but it’s genius. I tried making coconut butter for the first time yesterday and it worked! I have a simple blender and not s sturdy food processor so I couldn’t make it from un toasted coconut. I had slightly older whole coconuts the flesh of which look more oily too and are naturally sweeter after the coconut water drains unto the flesh due to age. I toasted the flakes until light brown and grinded in the spice grinder. It took just 5 seconds to turn into a semi liquid. It was super sweet too. I put it in the fridge amd it had hardened and it looks like coconut oil has separated in it. Is this normal? And does it keeo getting thinner if you run the blender or food processor? What is the right consistency for it? Hi Sancy, glad to hear it worked for you! Yes, it’s normal for it to harden up in the fridge, and be liquidy at warm temperatures just like coconut oil. The coconut oil can separate too, as you experienced – just warm it up and stir it all back together. I usually find that once it’s been stirred once, it usually doesn’t separate again. It will keep getting smoother the longer it runs, so it’s just up to personal preference! I also wanted to know how long can this be stored at room temperature and in the frige? What would be the best way? I like to store it at room temperature so it doesn’t get as firm as it does in the fridge – makes it easier to work with! Either is fine though.